On this our last full day in Berlin, I wanted to show my daughter the sites in the former West, specifically the former American Sector. I would have liked to spend more time in the former British Sector–we had been in the British sector briefly on our first day–but we ran out of time. 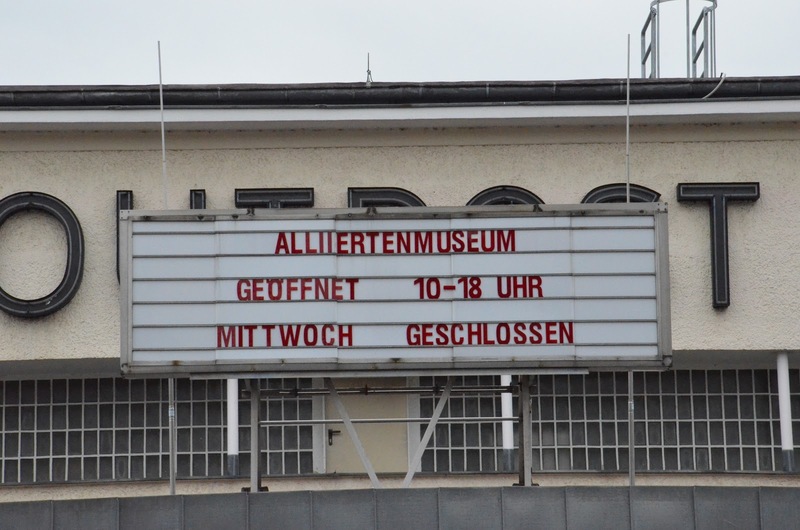 Our first stop was the Alliiertan Museum (Allied Museum). 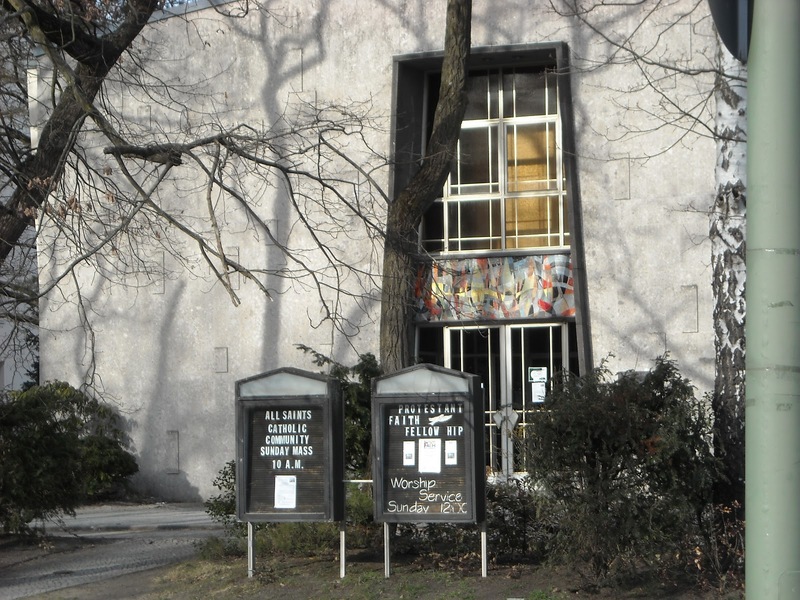 The Allied Museum is housed in two buildings: the former Outpost Theater and the former Nicholson Memorial Library. 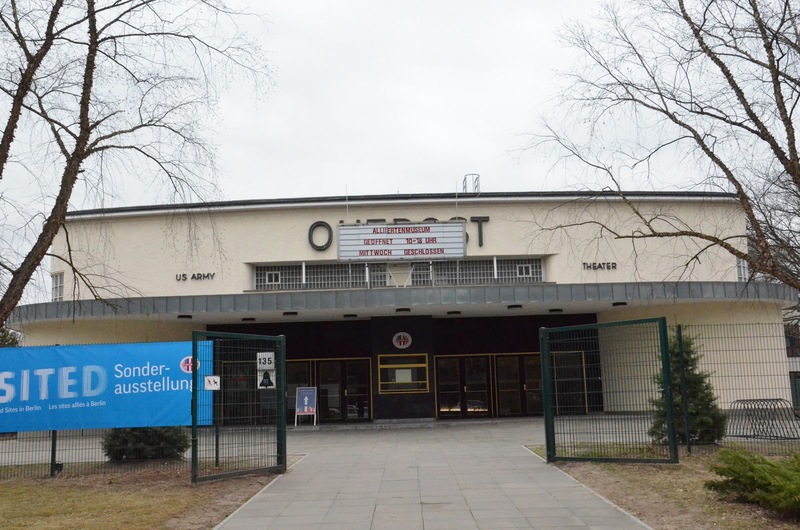 For my Berlin brat friends who will be reading this blog, I think they would all agree that this area holds very fond memories for all of us. Well, at the least the Outpost Theater did. The library was often avoided by our less academically inclined classmates. The Outpost was so very important to us American teens because, not only was it a social gathering place, it was our window into what was going on in the US. The problem was, everything American took a long time to get to us. We often didn’t see top movies or hear hit songs until they were no longer ‘new’ in the US. I remember hearing that Pepsi Free had been introduced in the US, and wondering how much things had changed in 3 years that they would be giving away free Pepsi! Keep in mind that we did not have the internet, cell phones, satallite radio.. all we had was snail mail and it took 6 weeks to receive a letter from the US. International phone calls were way too expensive to consider in anything other than a dire emergency. Plus, because we lived in W. Berlin, we could only use the phones sparingly, due to the fact that the Soviets were tapping all our lines. The common and required way to answer the phone was to begin with ‘this line is not secure.’ That was life in Cold War Berlin! 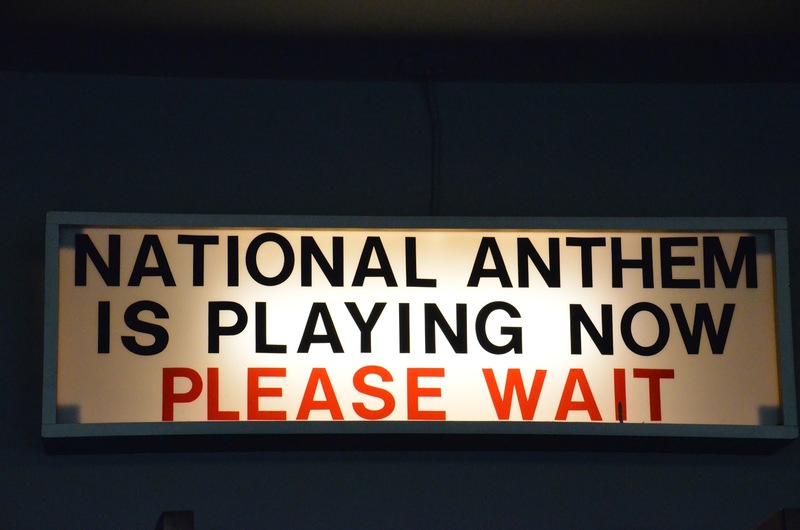 during the National Anthem. Period. 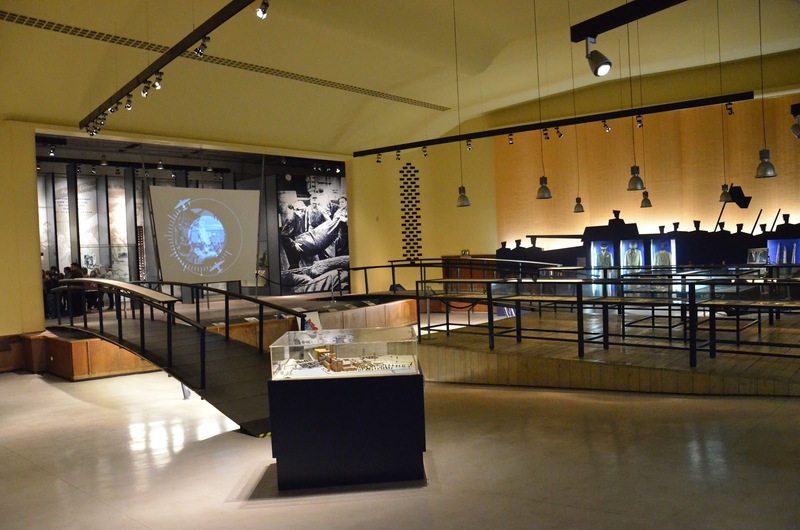 So, now that the theater is a museum, it houses permanent and temporary exhibits– actually, each time I’ve been there, the permanent exhibits are in the theater, while the former library had both permanent and temporary exhibits. Regardless, there are some elements of the original theater that the curators chose to retain, such as the original sign pictured above, which can be found in the lobby. When the lighted sign went out, you were free to open the big doors and find your seat. 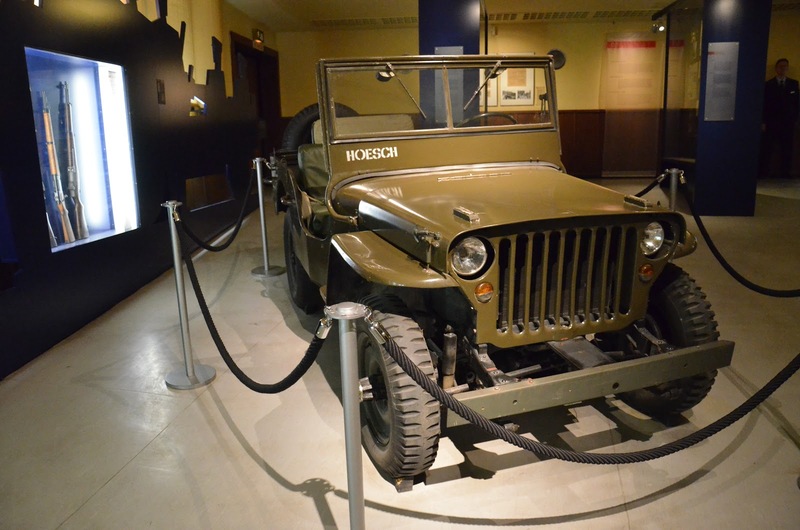 The exhibits here show what life was like for the Allied soldiers and their families during the Allied occupation of Berlin. 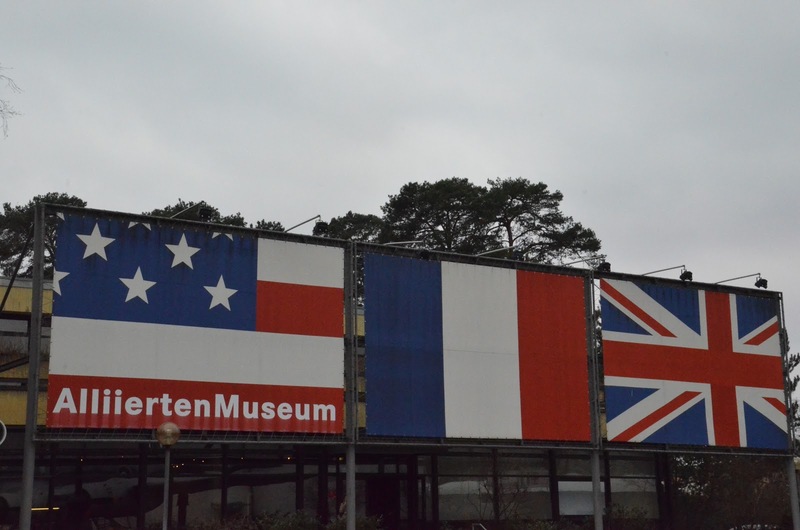 The Allied occupation lasted from the the end of the war (1945) until 1994 (final troop pull out)–most of the exhibits concentrate on the highlights of the Cold War era. 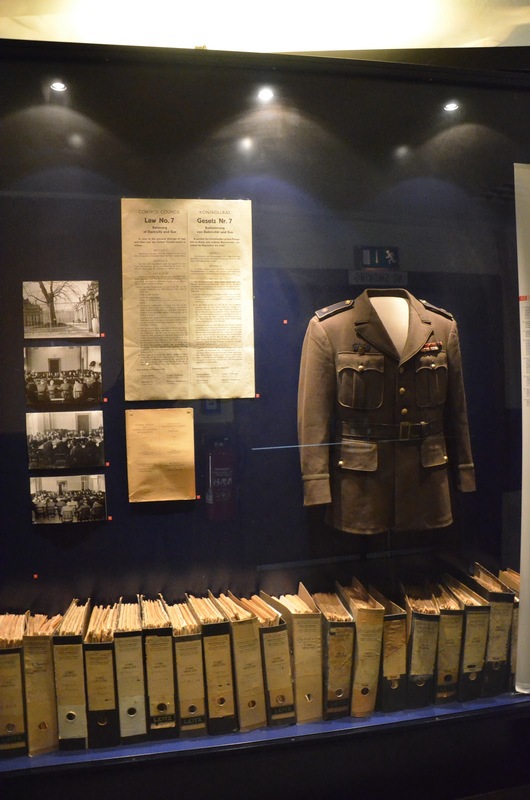 The picture below shows display cases containing various ephemera from the early days of the Cold war, such as ration cards, letters, food cartons, etc. As my sister and I were reminiscing over some of these items, a school teacher who was showing her students around decided that we didn’t need to be talking and very rudely and loudly shushed us. Of course we kept talking. Ironically, as she gave her ‘version’ of what it was like to live as an American in Cold War Germany–she missed out on the first hand accounts my sister and I could have provided her students. Funny how you can miss out on a golden opportunity by being rude and self-important. We spent quite a while in this museum, my daughter was especially fascinated by the exhibits. My favorite in this building is the Berlin Airlift and the Candy Bombers. The Berlin Airlift (Operation Vittles) was instituted as a way to counter the Soviet blockade of West Berlin. 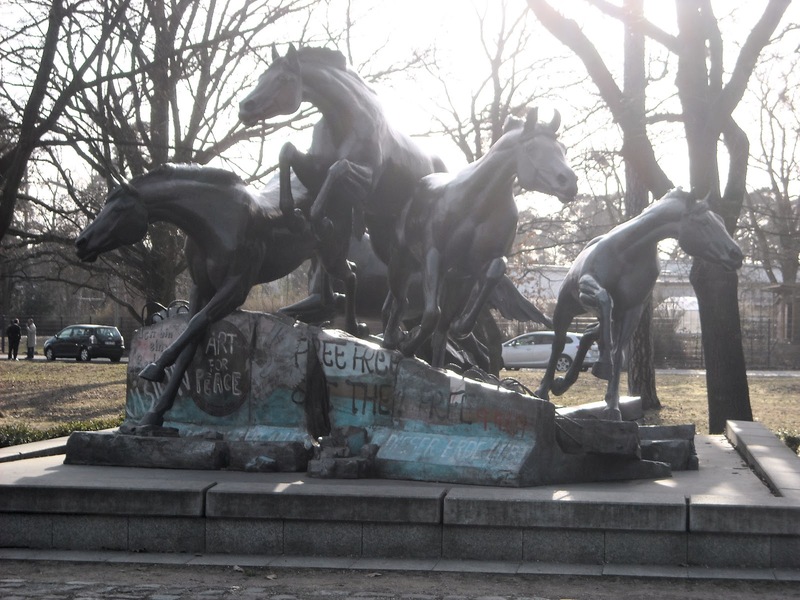 Since all of Berlin lay inside of East Germany, all land (and water) routes to West Berlin lay within Soviet control. Thus, when the Soviets decided to close all the land routes, the Allied forces came up with the idea of using the air. However, because of prior agreements, the Allieds had limited air corridors for flight into and out of W. Berlin. Therefore, it was an arduous task flying enough food, fuel and medical supplies into a city as large as W. Berlin (with over 2 million people). Operation Vittles lasted a little over a year. The Soviets conceded a little over a year later, as they had not expected that the Allieds would stick to their guns nor that they would be succesful. Another important part of the Operation Vittles story is that of Operation Little Vittles implemented by Col.Gail Halvorsen, aka the Candy Bomber and his fellow airmen. I have had the distinct pleasure of exchanging several emails with the legendary Col. Halvorsen; the Col. has submitted materials for us to include in the book my friend and I are compiling about life in Berlin through the Cold War period. The Candy Bomber decided to drop candy for the children who were often near the airfield watching the flights. There is a children’s book entitled Mercedes and the Chocolate Pilot that tells the story of Operation Little Vittles from the point of view of one of the children– Mercedes. I had the unique opportunity and pleasure of meeting Mercedes in 2002 when I was in Berlin at an American-German 4th of July celebration. In total, the Candy Bombers ended up dropping more than 3 tons of candy by the end of the operation. Quite unintentionally, the candy operation provided very positive propoganda for the Allieds among the population of this post-war occupied country– much to the chagrin of the Soviets. After leaving the Outpost, we walked outside to take in the open air exhibits that lie in the lot between the Theatre and the Library. There is a small segment of the Wall, with a watchtower behind it. 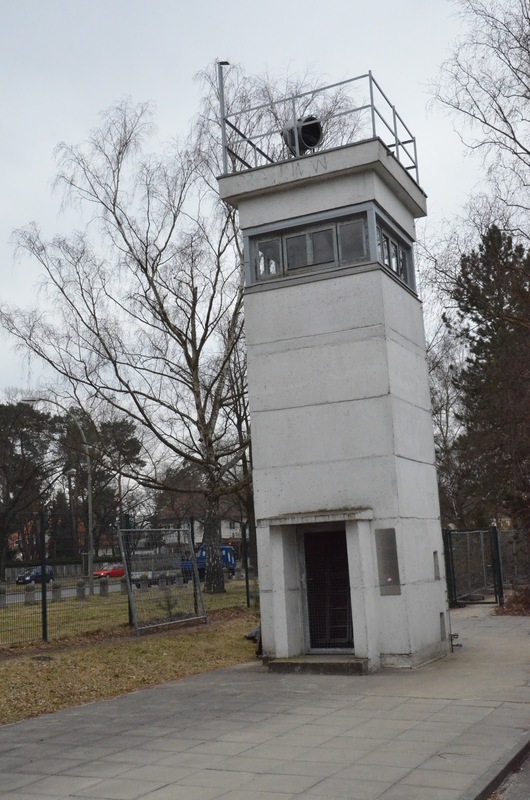 When the Wall fell, the Checkpoint Charlie guardhouse was removed and placed here. 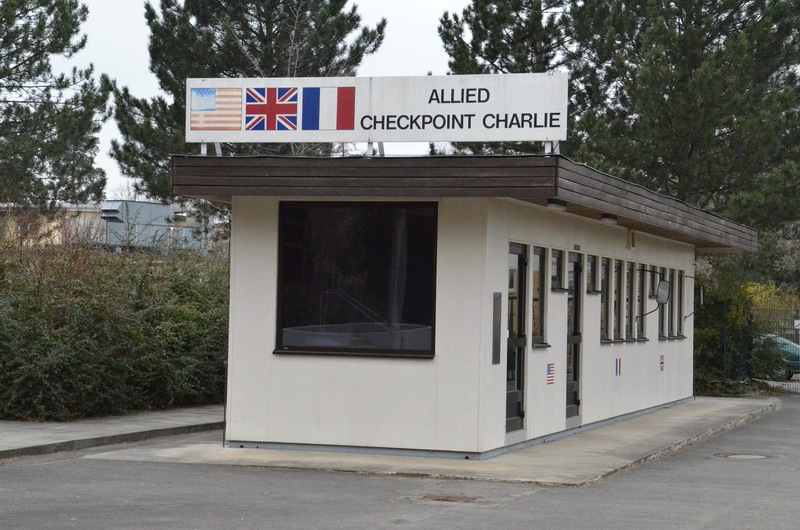 The one that I show in yesterday’s blog post about Checkpoint Charlie is a replica, which is fitting as the whole area is now a tourist trap! The largest item on display is the British Hastings TG 503 airplane. This aircraft was one of the many used in the Operation Vittles mission. 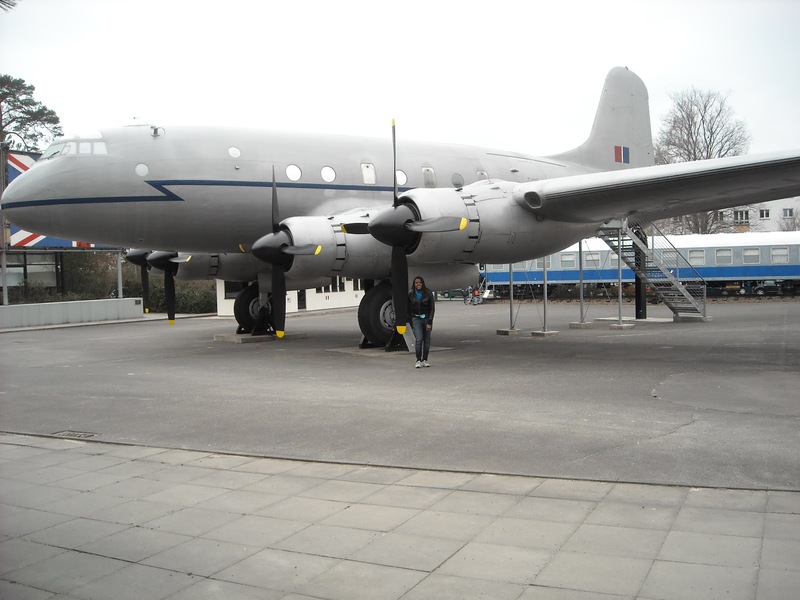 In 1948, the US Air Force had been newly created, yet in conjuction with British and French Air Forces, the Allies were able to run continual flights into Tempelhof Airport night and day. The planes were landing about every 90 seconds, which tore up the runways, so the Germans had men and women on the sides with shovels, sand and tar to fill the constant holes produced by such a demanding operation. 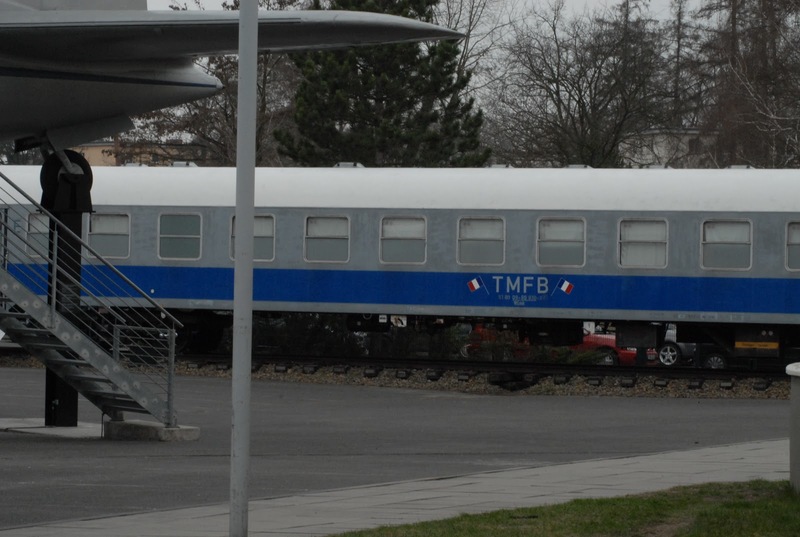 The French Allies’ contribution to this outside exhibit is a Cold War rail car. All three of the Allied sectors operated rail transport. They were called the Duty Trains. I’ve linked a very informative site on duty train trainsport, which explains more about the necessity of such a system. I highly recommend perusing the site, because it includes a picture of the ‘Flag Orders’ we each had to have to ride these trains through the ‘Iron Curtain.’ It also gives details of the Soviet mandated night-only train travel! I still have not been able to figure out why they were called Duty Trains, because we did not pay to ride–‘duty-free’ trains may have been more apt. As I have noted in previous posts, my time as a student at Berlin American High School was at times a bit on the wild side. One of the common experiences that I have found from brats who lived in Berlin in every decade is the rambunctious behavior on these night trips. Since train travel is so noisy, it was not really easy for the limited number of teacher-escorts to contain the (sometimes unbridled) merth of two full sports teams divided among multiple compartments. During volleyball season, the volleyball and cross-country teams traveled together. During basketball season the boys and girls basketball teams traveled together. We traveled almost every weekend of the season, leaving on Thursday night and returning on Sunday morning. Truthfully, the main reason I joined the basketball team was because we got to miss school every Friday. It was much easier to arrange for Flag Orders (Soviet-approved travel visas for the Duty Train) for just our teams than for different sports teams from a different cities to be approved to travel up to W. Berlin. So, we traveled out of Berlin 95% of the sports season. After taking pictures outside, we went into the former library to see the exhibits there. During our 2006 high school reunion, the mueum’s head curator, Florian Weiss, assembled an extensive temporary exhibit consisting of donations given by alumni from Berlin American High School. It was so much fun to walk through and see reproductions of our lockers along with items donated to recreate a ‘typical’ day at Berlin American High School. Since that was a temporary exhibit, there were different items on display this time around. One of the permanent exhibits is the stretch of spy tunnel that was discovered underground in West Berlin. Earlier, I mentioned how we could not talk on the phone because all of the lines were tapped, this was just another in a long line of Soviet-Allied espionage efforts. The Outpost and former Library area was part of the heart of the former American sector. When we lived there, our apartment was half a block north of the Outpost Theater, and Clay Headquarters was half a block south of it. Clay Headquarters was the hub of military command for the American sector back then. Clay HQ was named after Gen. Lucius D. Clay–the commander of the US Allied forces during the Berlin Airlift. He was a higly decorated Army General who appeared on the cover of Time magazine three times! One of the longest streets in Berlin, Clayallee, was named after him. Clayallee runs in front of the HQ compound past the Outpost and Library and past the back of our living quarters (we could sit on our back patio and watch the cars speed by on Clayallee). Across the street from the Theater was a very popular Italian restaurant– Fra Diavolo’s. My best friend and I used to go there to eat pizza– one time we infuriated the waiter when we brought our own cans of Dr. Pepper, since we couldn’t afford to buy drinks. I think he cursed us out in Turkish and German! 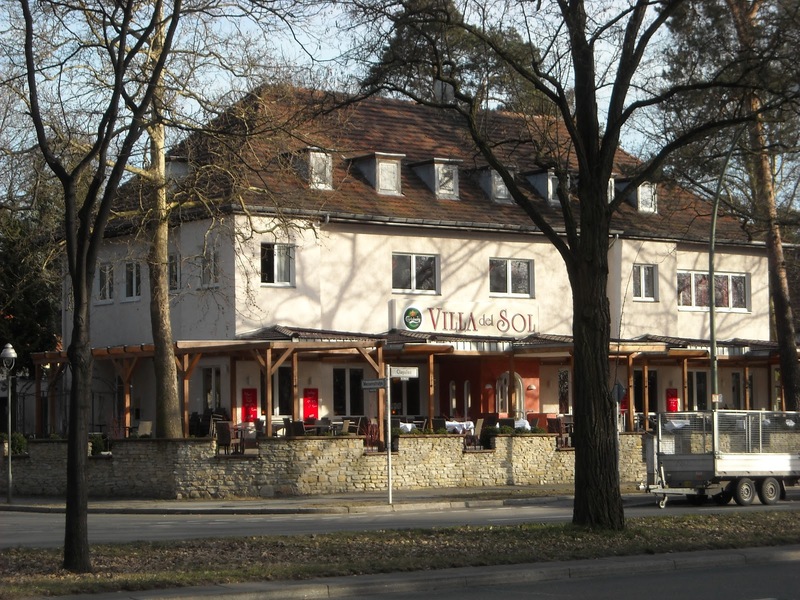 The restaurant is still there, but is now called Villa del Sol. 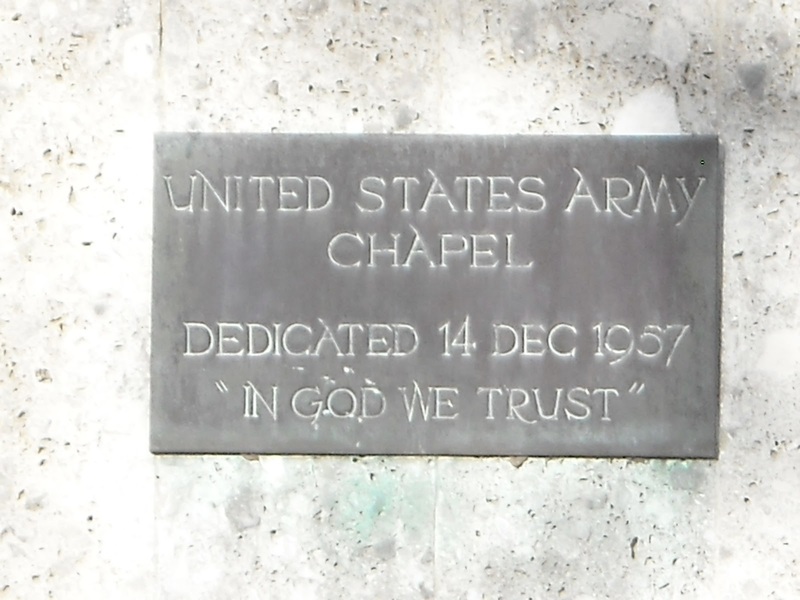 We also stopped by the Army Chapel to take pictures, it is located across the street from the German cemetary which is a block away from our old high school- Berlin American High School–now named Wilma Rudolph Oberschule. We had our Senior Baccalaureate Service at the Chapel, though I doubt any public schools have religious services to bless the graduates these days. We then drove to meet one of my best friends from high school for lunch. Bobby, his girlfriend and a German friend I made through Bobby on facebook all met us at an Italian restaurant across the street from Bobby’s place. After lunch, we went over to Bobby’s flat because I needed to pick up some things we had left earlier in the week. Bobby also wanted to show me one of his new business ventures. He is the US distributor for PG Bikes– a motorized bicycle that was featured on Jay Leno’s Garage in 2011. Orlando Bloom owns one, I have a promo shot of him on pinterest here. I was excited to see the bike in real life, but didn’t expect that Bobby would let me ride it! It was so incredible. It is absolutely silent, but as light weight as a bike and fast as a motorcyle– talk about German engineering! Plus, you can either pedal it like a bike or engage the motor and ride like a motorcycle. I really wanted one after riding it. I can see why the rich and famous are clamoring to own one. Since this was our last day in Berlin, we said our goodbyes and went back to our flat in the former East to finish packing for our morning flight. I cannot believe what an incredible two weeks we had in Israel and Germany. It was a trip of a lifetime. I hope and pray that I will be able to return to Israel in the near future. 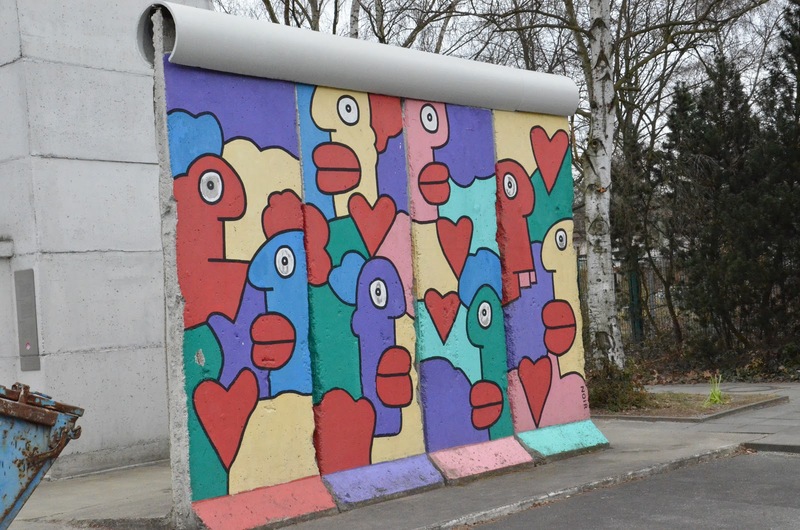 And, I look forward to my return to Berlin in 2014 for the 25th Anniversary of the Fall of the Wall celebration. I hope that those who took the time to read this blog (it only took me 20 months to chronicle all 14 days!) will be inspired to visit both countries. Israel, for it is truly a spiritual experience, no matter your faith background and Berlin, Germany because it is my second home. Most people do not realize it, but besides being famous for being a ‘spy’ city, it is the most inexpensive major Western European city to visit. 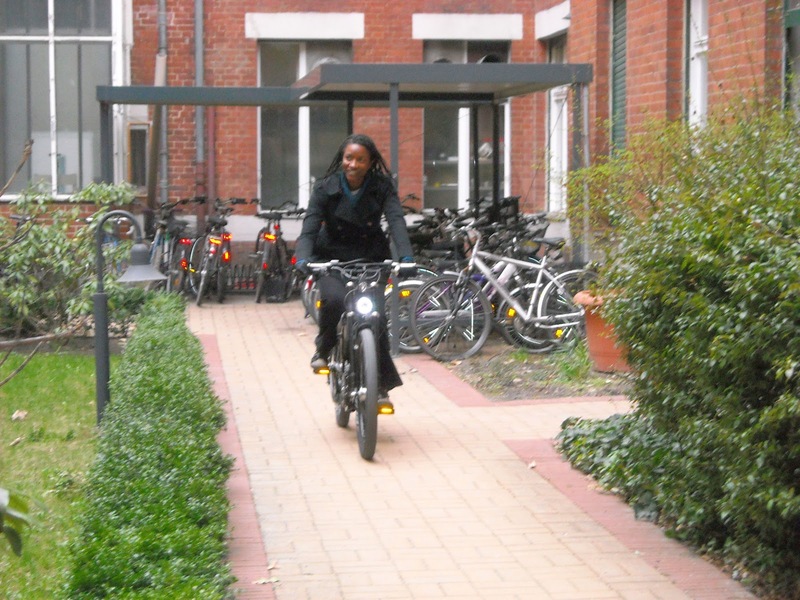 A recent report lists Germany as the mose inexpensive Western European country for travel. I would strongly urge you to consider visiting the Holy Land and/or Germany as your next overseas travel destination! Great read, Chic! Makes you feel you are right there! I miss Berlin and hope to go to Israel one day.